Scientific Inquiry, beyond the scientific method. Real science of today is acknowledged to be not linear but far more fluid as the process of discovery unfolds to allow new data to be assimilated. 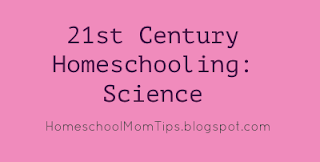 Are you still teaching only the scientific method in your homeschool? Biomimicry (or biomimetics) is the field of scientists using God's creation as a template for new inventions. How exciting for Christian scientists! What a wonderful to point their fellow scientists away from "Mother Nature" (whoever she is) and towards the awesome Creator of the whole universe. Climate change-like it or not, climate change (formerly known as global warming), has become a major field of study with government agencies and academia spending millions on it. Any literate member of society must be conversant with the various models and theories of climate change being studied and discussed. Followers of Jesus Christ who believe in the sovereignty of God and dominion of man must be able to speak intelligently on climate change from our perspective. Polymer Science-from coatings to glue, polymer science may affect more of our everyday lives than most branches of science. Our kitchen floors and furniture may look very different a few years from now because of advances in polymer science. Big Data/Data Science-Are you and children aware that our world becomes more complex, we generate far more data than in previous generations. These huge data sets need special handling and special handlers. Could your child be the next data science specialist for Google? Post-PC trends in computing and computer science- from last generation devices to current clouds, from a previous individual programmer in a cubicle to collaborative models, from desktop to tablet, the changes in personal technology have been dizzying in just the past few years. How is the computer science curriculum in your homeschool changing with the times? Read periodicals such as Science News or Popular Science regularly to learn more. Pay special attention to science articles in USA Today or The Wall Street Journal. Specialty magazines such as MacWorld or PC World will also add to your knowledge. All of these publications have benefitted our family. I believe that like Queen Esther of the Bible, each and every one of us and our families are here in this particular time, the 21st century, for a reason. For followers of Jesus Christ, it is exciting to bring His image to bear in all of the sciences of the future as they unfold, using every opportunity to show others the magnificence of an Awesome Creator and love of a Father who provides all of Creation for us. As a family, we endeavor to at least provide our children with glimpses into modern sciences as they grow and learn. 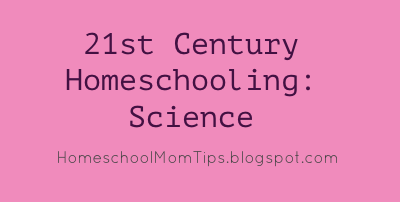 This post is one of a series on 21st Century Homeschooling.